Neeta Travels Contact Number, Phone Number, Pickup Address, Complaint Number and More details given here. Neeta Travels is one of the biggest travel and bus operators in India. 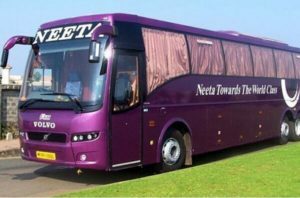 You can book bus ticket of Neeta Travels and Tours online at lowest price on many websites. 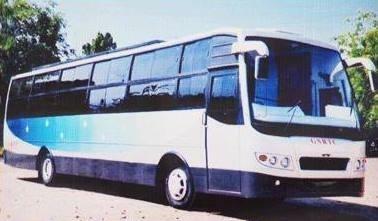 You can check bus reservation and fares details with best deals & offers on its official website. They have wide presence in many cities especially in the state of Maharashtra, Gujarat, Karnataka, and Goa. So, let’s see contact information of Neeta Travels Contact, such as pickup address, office address, phone number, contact number, headquarters address, headquarters phone number, feedback, suggestion, and more. So, let’s enjoy! Lakdika-Pool Address: Neeta Tours And Travels, Shop No: 11-4-669, Beside Hanuman Temple, Red Hills, Lakdika-Pool. Kolhapur Address: Kavla Naka, Opp. Rajesh Motors. Kandivali Office Address or Pickup Address: Shop No.3, Mehrun Chawl, Mahavir Nagar, W.E.Highway, Opp. Samtanagaar Police Chowki, Kandivali-[E], Mumbai-101. 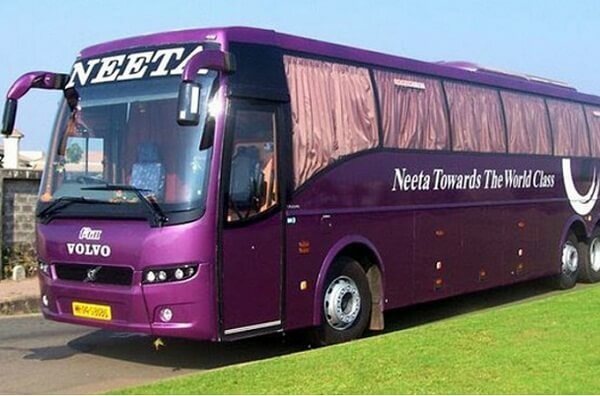 Neeta Bus Paldi Ahmedabad Address: L/7, Shroff Chambers, Opp: Navchetan High School, Jalaram Mandir Road, Paldi. Muktidham Nasik Address: Saroj Neeta Office, Near Somani Garden, Nasik Road, Muktidham. Nasik. Vile Parle Office Address or Pickup Address: Shop No.180, Bhajiwadi, Shastri Nagar, Western Express Highway, Near Petrol Pump, Vileparle-[E] Mumbai-99. Moti Tanki Chowk Rajkot Address: Neeta Tours and Travels, 6-Kamdhenu Complex, Motitanki Chowk, Rajkot. Satellite Ahmedabad Address: Manas Complex satelite Jodhpur Cross Road,Opp-Star Bazar. Neeta Bus SG Highway Ahmedabad Address: Opp-infinium toyota show room Near Divya Bhaskar Press, S.G. Highway. Malad Office Address or Pickup Address: 37/38, Malad Shopping Centre, S.V.Road, Malad-[W], Mumbai-64. Kukatpally Address: Neeta Tours & Travels, Shop no:7-74, Opp Huda Truck Parking, Traffic Police Station, Near Metro Kukatpally. Neeta Travels Goregaon Office Address or Pickup Address: 19, Sarvodaya Nagar, Near Aarey Check Naka, W.E.Highway, Goregaon-[E], Mumbai. Dadar-East Address2: SHOP NO-39, Opp Dadar Post Office, Near Dadar-Pune Bus Stand, Dr.B A Road Dadar(E). Vashi Address: D/88, Vashi Plaza, Sector No.17, Ground Floor, Vashi, Navi Mumbai. Pali Address: Ambedkar Circale Pali. Thane Address: D-1, Haribhakti Compound, Retibunder, Ghodbunder Road, Kashimira, Dist. Thane. Neeta A-1 Pune Station Office Address or Pickup Address: Pune Station sasoon road Opp-S.T. stand, Pune. Baroda Address: Neeta Travels (H.O) Nr. Pandya Hotel Shop – 8,B/S Gurukrupa Hotel, Nr.Pandya Bridge,Chani Road,Baroda. Article last re-published on August 31, 2018. Adlabs Imagica Contact Number, Booking Number, Enquiry Number, Phone Number and more information has been given here. If you are planning to visit Adlabs Imagica, then we are suggesting you to check Adlabs Imagica tickets offers on its official website. You can buy or book Adlabs Imagica Theme Park and Water Park Ticket online at Imagica’s official website. 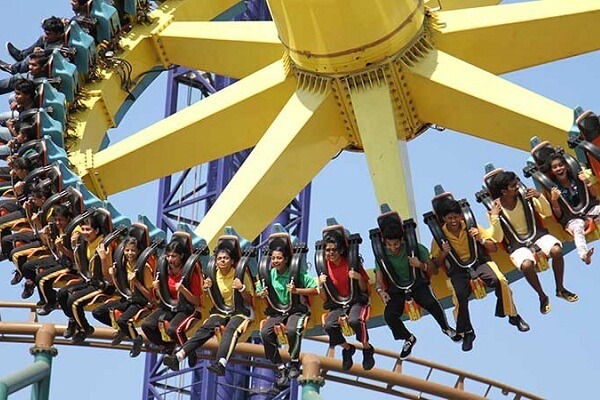 They offers many rides and attractions at Imagica theme park for all ages. You can enjoy Family Rides, Thrill Rides, and Kids’ Rides at Imagica Theme Park. 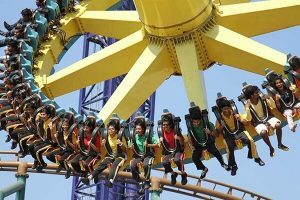 If you stay in Mumbai, then you can book Mumbai to Imagica taxi or book Ghar Se Ghar Tak Package from Adlabs Imagica which includes everything. You can find many offers for Imagica theme park and Imagica water park. So, let’s see contact information of Adlabs Imagica, such as Enquiry Number, Email Address, Office Address, Toll Free Number, Contact Number, Ticket Booking Number, and More. We hope that the contact information of Adlabs Imagica will be useful to all people. We strongly suggests you to share this post on popular social media sites, such as Google Plus, Facebook, Twitter, and other platforms. WhatsApp is also a popular way to reach more people. So, please share it on WhatsApp too, to make it more useful among the people of India. Article first published on August 30, 2018. Mahasagar Travels Contact Number, Booking Number, Complaint Number, and More details given here. 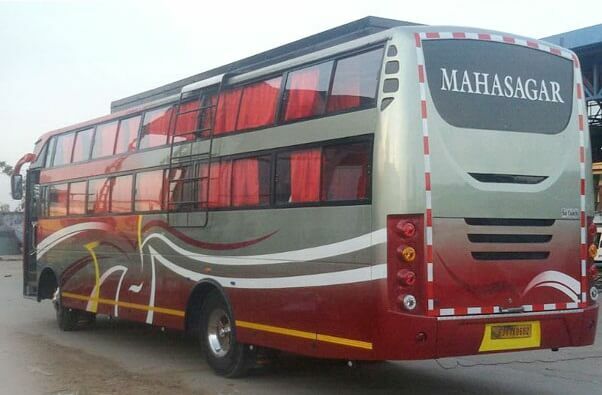 Mahasagar Travels is one of the most used bus services in Maharashtra, and Gujarat. 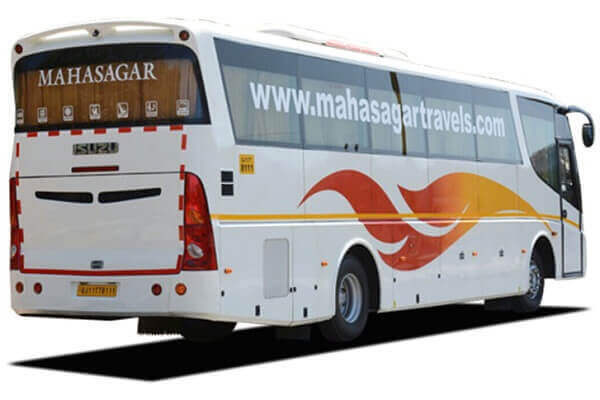 You can book Mahasagar Travels bus tickets online at lowest price or discounted price on many online booking websites like makemytrip, goibibo, and many others. They have several offices in these two states. They operates with a good number of fleets. They operates in several routes of Gujarat and Maharashtra especially large cities of both states. So, let’s see important contact information of Mahasagar Travels, such as pick up addresses, contact details, mobile number, contact numbers, office addresses, and more. So, let’s read! Bapunagar Ahmedabad Office Office Address or Pick-up Address: Mahasakti Travels, 27 Hiren Chamber, N.H.No.8-B, Bapunagar. We hope that the details on Mahasagar Travels Contact Number, Booking Number, Complaint Number, and More will be useful to all people especially passengers of Mahasagar Travels. Article last re-published on August 27, 2018. 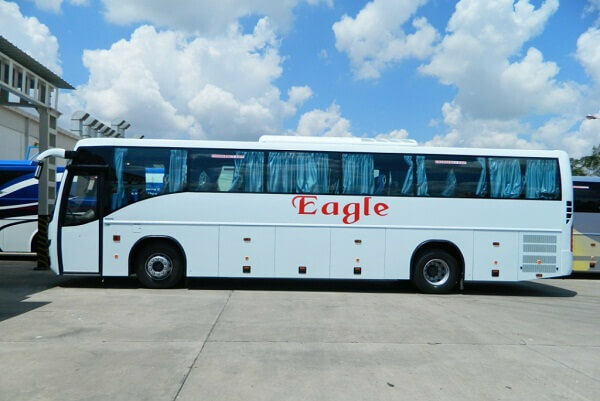 Eagle Travels Contact Number, Enquiry Number, Mobile Number, Pickup Address, Email ID and More details have been provided here. 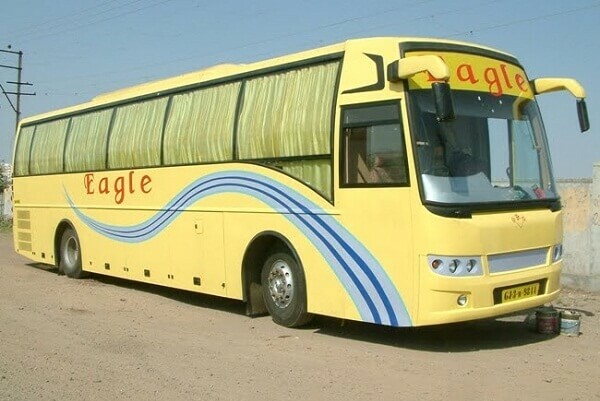 To buy online tickets for Eagle Travels, then please visit their official website. It is one of the best ways for travelling in Gujarat. For online seat reservation in your favourite bus route, then please visit their online bus booking website. Red Bus, MakeMyTrip, Cleartrip, and Abhi Bus are other alternative ways to book your bus ticket. So, let’s see contact information of Eagle Travels, such as complaint number, phone number, email ID, booking number, office address, pickup addresses, complaint email address, mobile number, WhatsApp number, and more. Let’s read! Junagadh ST Depot Phone Number, Enquiry Number, Helpline Number, and More details given here. Junagadh is a popular travel destination in Gujarat, thanks to Gir National Park. You should buy travel packages for Junagadh from reputed travel operators or online travel packages websites, such as MakeMyTrip, Yatra.com, Cleartrip, TripAdvisor, and others. Before your final trip to this amazing travel destination, please check all travel packages and compare it. You may get good discounts during travel sale offers dates. In this article, we have provided contact information of Junagadh ST Depot Phone Number, Enquiry Number, Helpline and More. We have compiled a list of important phone numbers and contact numbers of Junagadh ST Depot / Junagadh Bus Depot. Please add 0285 STD code before the phone number when dialing. To reach out Junagadh ST Depot on social media, you should need to contact GSRTC social media accounts. They are available on a few social media platforms. However, you should contact depot manager for more information, including how to file complaint, and poor / good service application. To buy travel packages or tour packages for Junagadh, then please visit popular travel packages websites. They offers wonderful experience in visiting Asiatic lions. 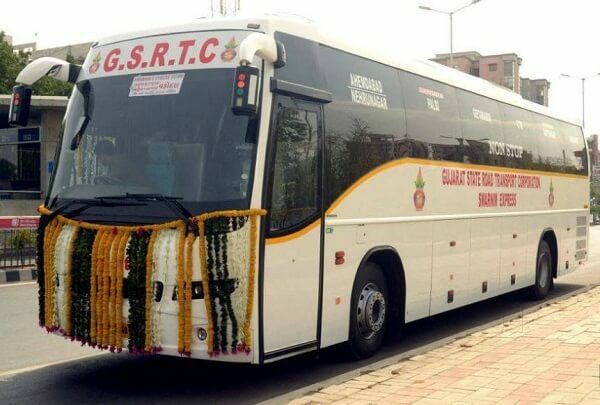 GSRTC is also one of the best ways to explore this beautiful travel destination in Gujarat. A number of local travel operators offers Junagadh darshan packages, Somnath travel packages, and other holiday packages. However, you have to select your visiting season very carefully.